Authors Profiles, Dream Personality, Events, Literary Gists, Literary News and Updates, What's Hot!!! 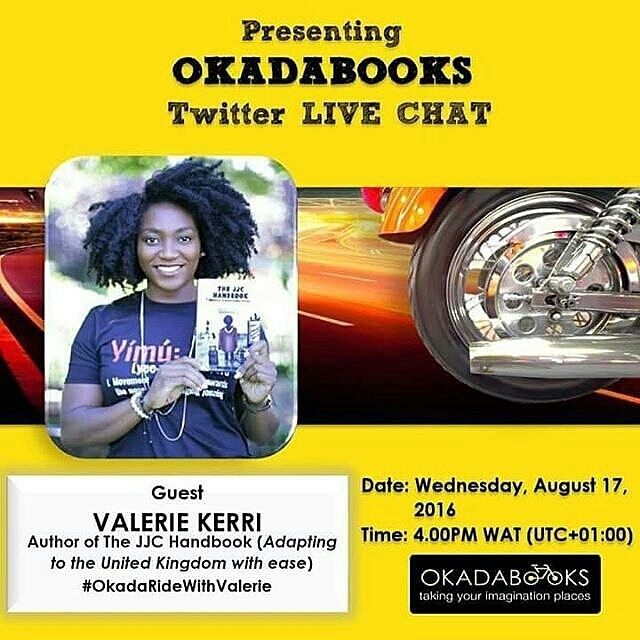 Literary News: #OkadaRideWithValerie, @OkadaBooks Live Chat With @ValerieKerri Holds At 4PM WAT (UTC +01:00) Today. To participate, please follow @OkadaBooks and @ValerieKerri twitter timelines and use the hash tag #OkadaRideWithValerie.